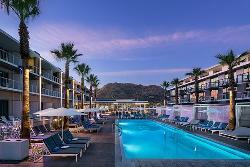 Prize: 5 nights in the award-winning modern and elegant Mountain Shadows Resort in Paradise Valley, AZ; $250 gift card to ShopVida.com; Fire 7 Tablet with Alexa and a selection of eBooks; 50,000 I Prefer Hotel Rewards points ($4,000). Statistics: This contest was opened by 38 and entered by 7 ContestChest.com members. 18% of those who opened the contest, entered it.